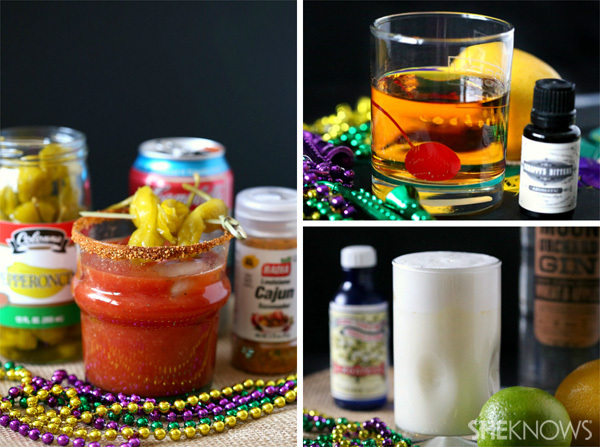 Mardi Gras isn’t a party without a few good cocktail recipes. These recipes are packed full of delicious flavor and perfect for your next party! Every single year I say I’m going to travel to Louisiana for Mardi Gras. It’s all about food, drinks and having fun. Why wouldn’t I want to go? Now, while I’m a little too old to party heavy, I’m still young enough to know a good drink. 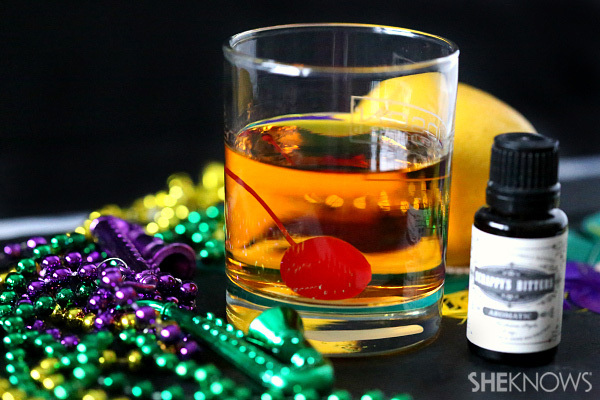 These three cocktails are perfect for a calm night in or a wild night full of Mardi Gras debauchery. First up we have a Ramos gin fizz. Since it’s made with raw egg whites, make sure you purchase pasteurized eggs so you don’t have to worry. Also, the secret ingredient is definitely the orange flower water. While it might sound like an odd ingredient, it can normally be found near the flavored extracts in most gourmet grocery stores. 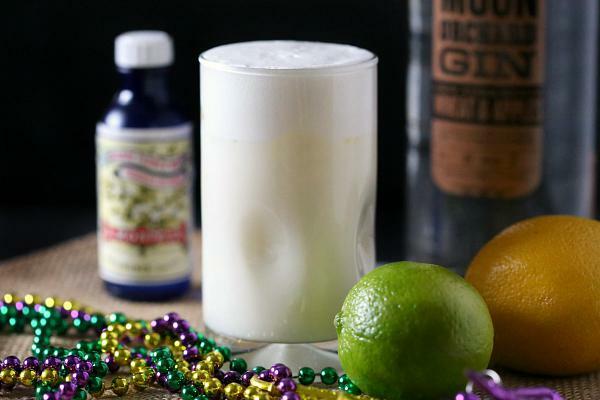 In a cocktail shaker add gin, simple syrup, lemon juice, lime juice, egg white and heavy cream. Shake vigorously for about 30 seconds to combine. Add ice to the shaker and shake again for another minute. You want to shake till your shaker feels cold. Strain mixture into a high ball glass and slowly top with seltzer water. Next up we have a spicy and flavorful bloody mary. This is not your everyday hangover cure. It’s full of Cajun spice, horseradish and lots of spicy peppers. You’re going to love this! Add about 2 tablespoons Cajun seasoning to a small plate. Gently wet the rim of a 12 ounce glass and press into Cajun seasoning. Add ice to the glass and add vodka, horseradish sauce, black pepper and squeezed lime wedge. Give a gentle stir and pour in tomato juice until it almost reaches the top. Drop 3 peppers into the drink and skewer 3 more as a garnish if desired. Last, we have a classic Sazerac cocktail. It is, in fact, the official cocktail of New Orleans. It packs a punch so it is best enjoyed slowly. Although the cherry is not traditional, I love the slight sweetness it brings to drink. In a short cocktail glass, add absinthe and rotate the glass slowly to coat the inside with the absinthe. If there is any remaining absinthe in the glass, discard. In a mixing glass add sugar cube and bitters. Gently muddle together until the sugar starts to dissolve. Add in rye whiskey and a few ice cubes. Gently stir and strain into the absinthe-lined glass. Add a twist of lemon and cherry if desired.